We'd like to thank you all for taking your time to participate in the beta test. We'll make sure to improve and polish the game with feedback we received through the official community and HIVE. In addition, we’d like to inform you about one more thing on the Mission Achievement event which is being held currently. If you couldn't receive check-in rewards (Day 3 – Kris’ School Uniform, Day 6 – Erin’s School Uniform, and Day 8+ - Lucie’s and Martina’s School Uniform) because you didn't access the event page, we'll consider it as a mission complete as long as you [checked in] to the game on the corresponding days so you can receive rewards. (However, for Lucie’s and Martina’s School Uniform, you also need to complete 10 out of 16 missions of Mission 2 to get the rewards.) These achievement rewards will be sent to your Inbox when the game is officially released. We will notify you with the details once again in the future. The beta test is over now, but we'll continue to post our updates on the official community and Facebook page to communicate with you. 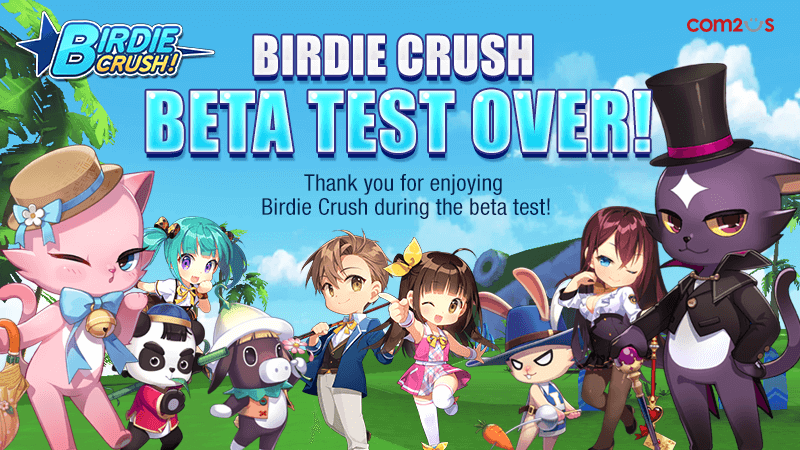 Once again, we greatly appreciate your love and support for Birdie Crush. We look forward to meeting you again through the official service!